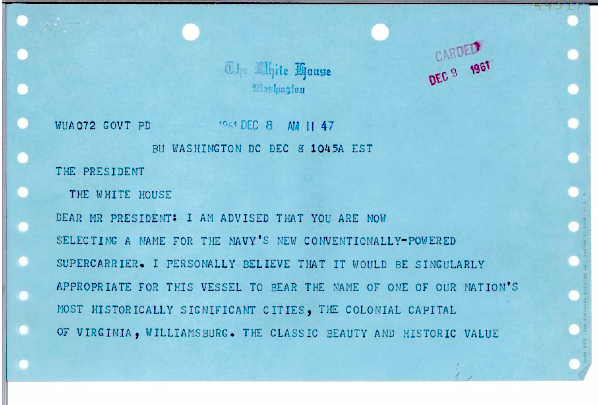 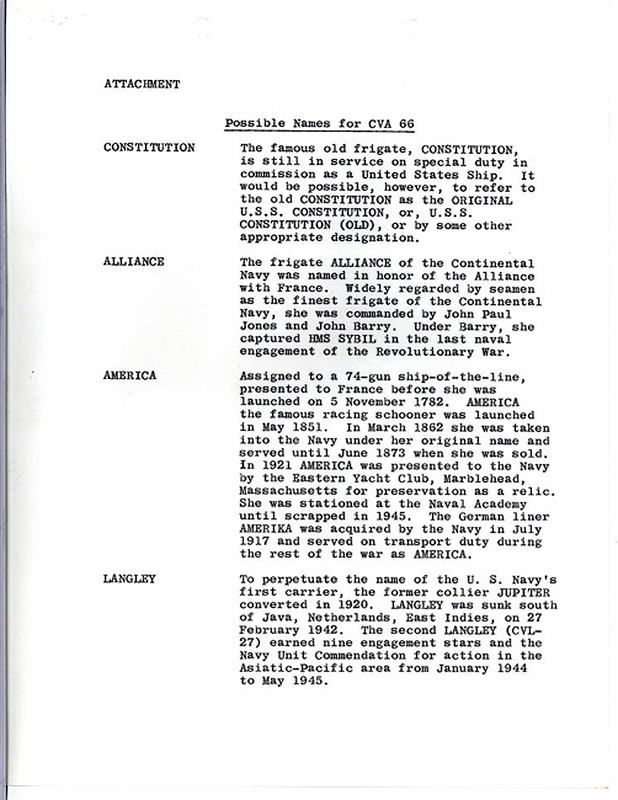 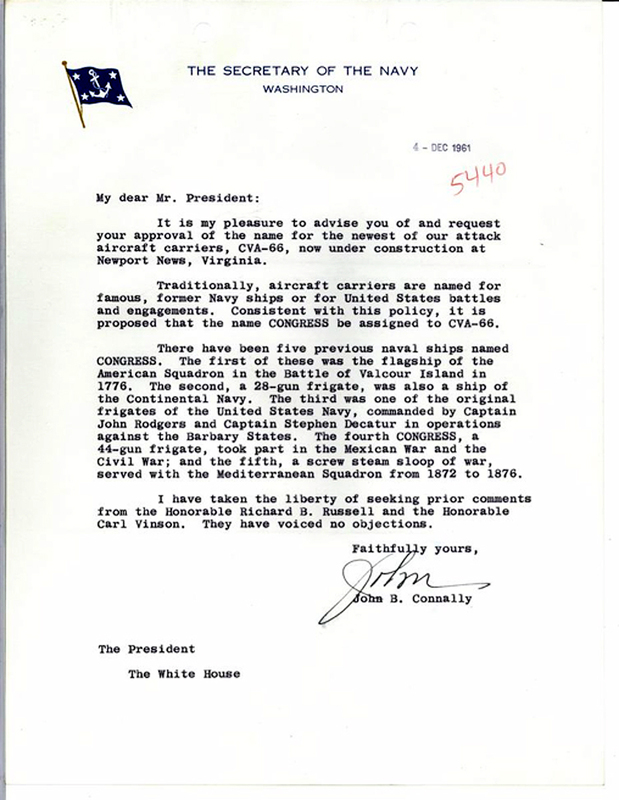 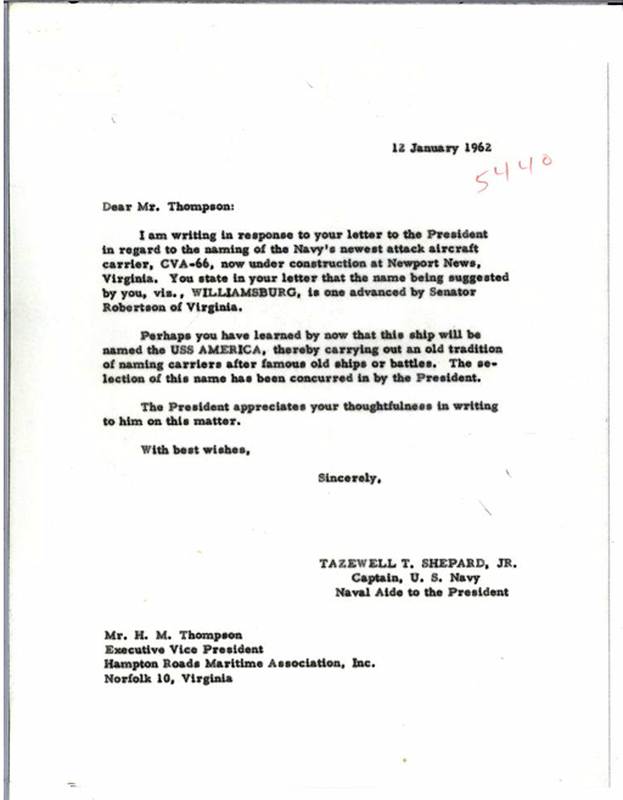 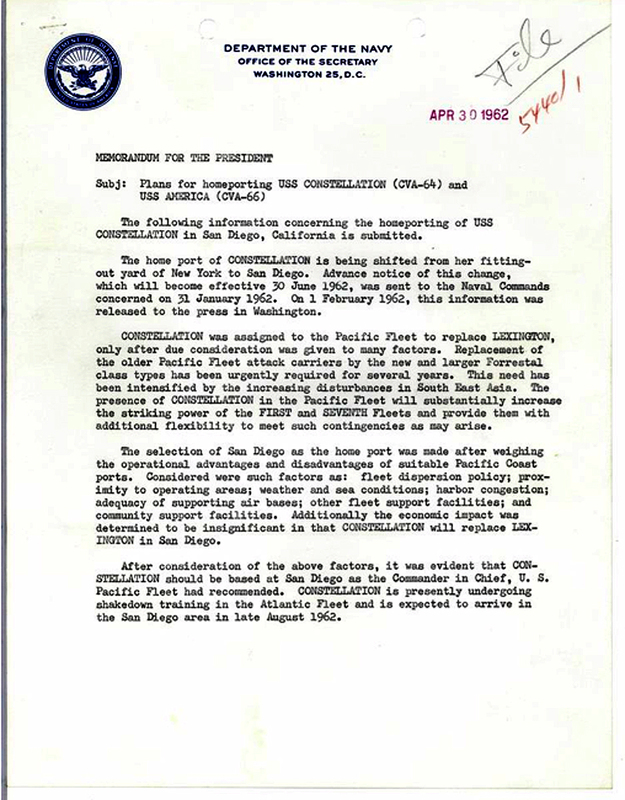 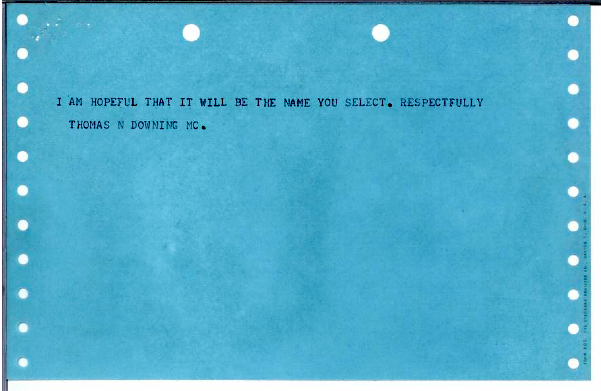 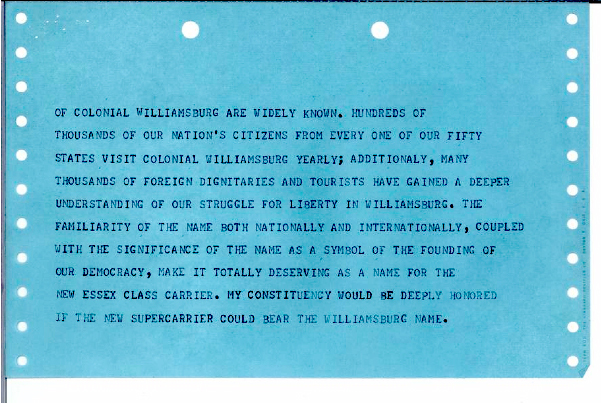 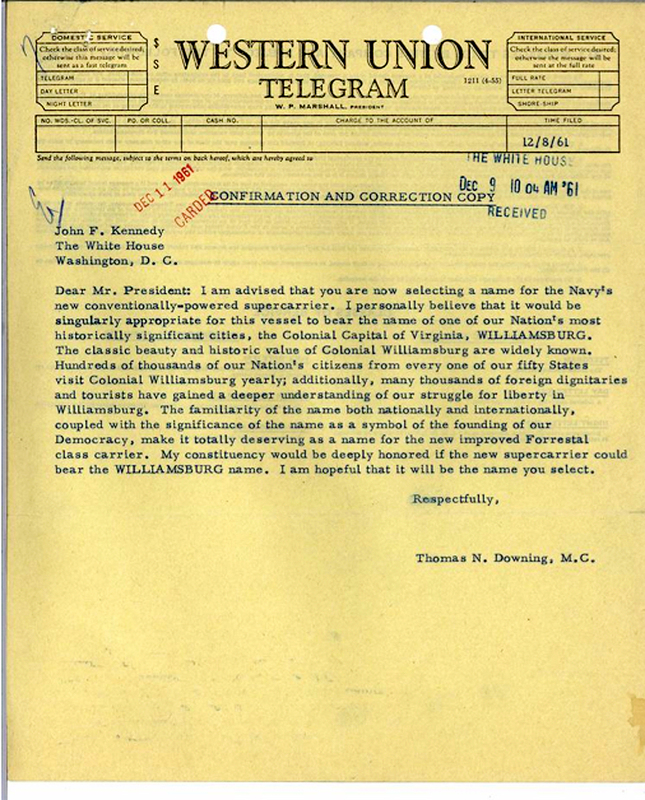 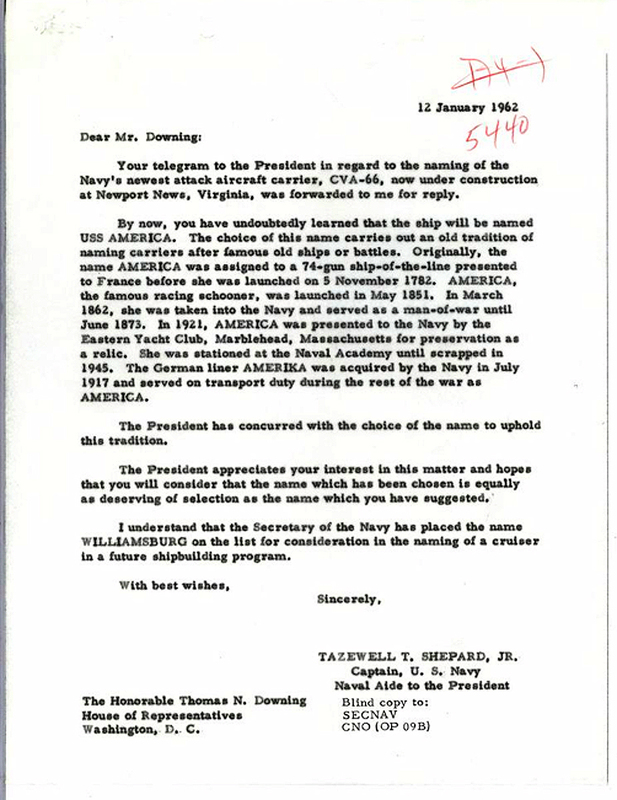 The links below are images of correspondence surrounding the naming of the CVA 66. 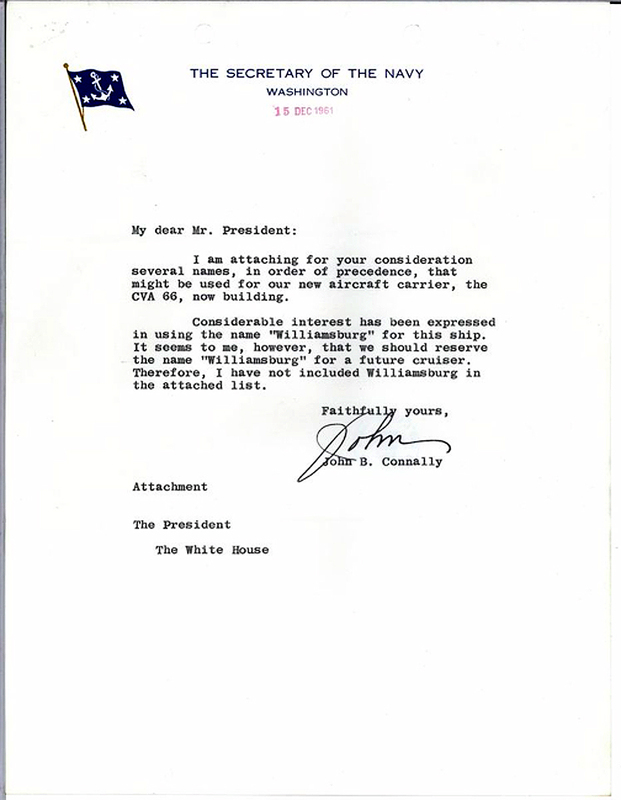 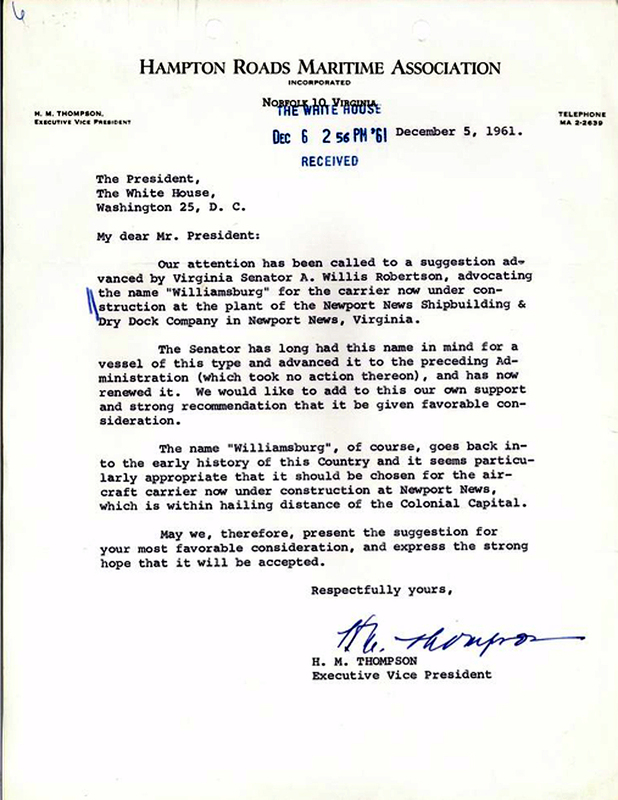 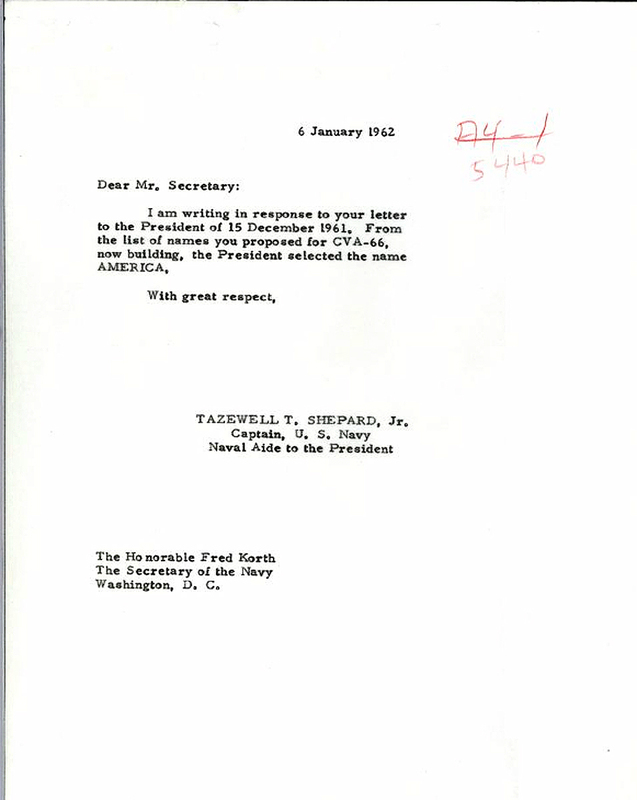 The correspondence is on file at the Kennedy Library. 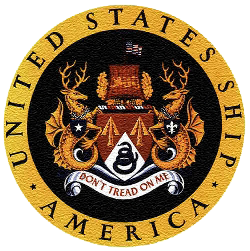 The USS America CVA would like to thank Scott Celley for his assistance in producing these images. 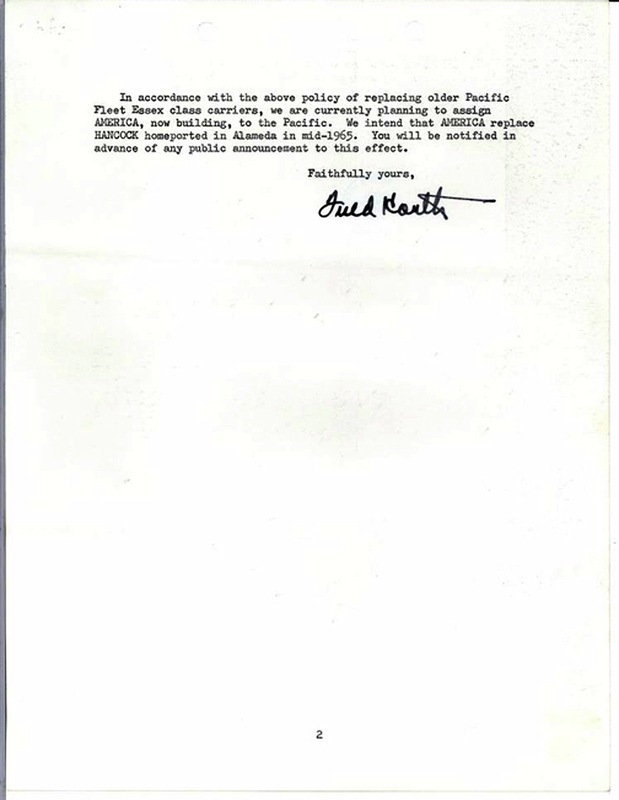 Click the links below to open the images.